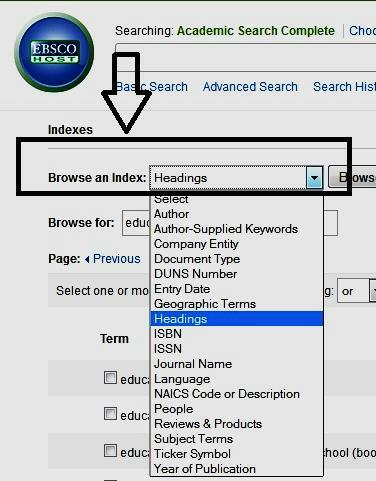 Browse a list of indexes for a specific database to view available citation fields. 1. Click the More link at the top of the EBSCOhost screen. 2. Click the Indexes link. 3. Select the Index that you want to search. The Index Search Screen appears. 4. Select a field from the drop-down list, for example: Headings. 5. 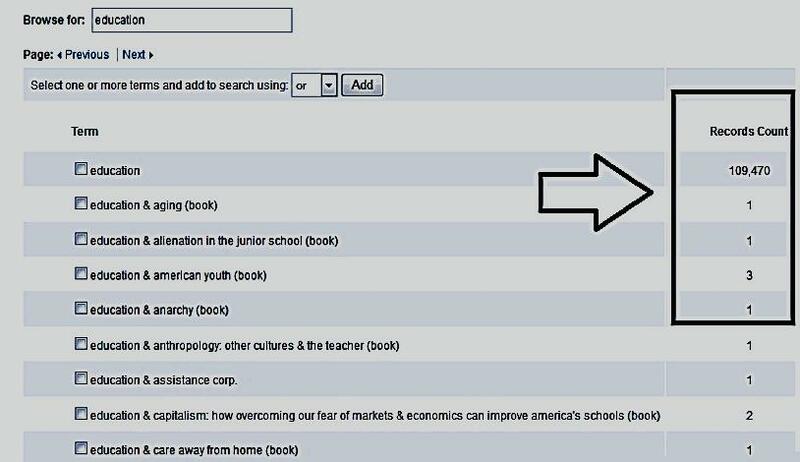 Enter your search term in the Browse for field, for example: Education. 6. Click Browse to list your search results in alphabetical order, beginning with your selected term. 7. Mark the check box next to the term you want to select. Repeat steps 4 to 6 to add more items to the Browse for field. 8. Click Search to view your results.